You are on the way to getting more power by studying this chart. Whether you are a do-it-yourselfer or are using an attorney, your divorce will be smoother and more stress-free if you have an overview of the entire process. The majo rity of divorces take the path that ends at mediation, followed by a final hearing. If you can successfully negotiate for the things you want, the path through mediation offers the least-cost, least-stressful way to your divorce. Throughout this website you will see certain words used frequently: negotiate, bargain, deal, trade, mediate, and settle. That is because divorce is more of a negotiation than a lawsuit. You should learn everything you can and take an active part in negotiation. This approach will get you a better settlement. The people who come out ahead treat divorce for what it really is: a negotiation over money and property, and future provisions for your children. People with children should always keep one important thing in mind: children are not money or property and your goal is to give them the most support possible throughout this process. Gathering the information you will need will be time consuming. You must start immediately, make a detailed list, and invest the time needed to do a good job. The end result will give you more information to make decisions. If you later go to court a judge will look very favorably on someone with excellent documentation. You will need at least three years of tax returns for you and your spouse. Five years is better if you have them. If you don’t have them you should immediately order copies from the IRS. Look in our self help center under the forms section for the IRS request for copies. Gather at least several years of bank statements, cancelled checks, and credit card statements. Also get a copy of mortgage statements, deeds, and records of property ownership. This includes everything you can get your hands on – car titles, receipts for furniture, and anything of value. When in doubt – get the paperwork. Business owners or spouses of business owners – it is essential that you take control of business records. Unless you are experienced at reviewing these records box them up and keep them in a safe, hidden place. Office supply stores sell portable file boxes that are good for organizing, storing, and transporting your paperwork. You should work and rework your collection until it is complete, organized, and easy to find. A helpful tool is a typed list of your paperwork sorted by type. The petition is the start of a divorce. It does not matter who filed the petition – both spouses have equal rights. You can find a form for a petition in our forms center. The petition informs the court you are seeking a divorce, makes some initial claims, and lists the financial and custody arrangements the petitioning spouse seeks. Many petitions ask for everything in the world – including assets and custody arrangements that are extremely biased. Courts rarely give someone everything they ask for. Don’t let the contents of the petition worry you because the terms will be changed, negotiated, and discussed many times in the coming months. Many attorneys routinely ask for everything, knowing they will only get what the parties agree to or what the judge decides on. The spouse that receives the petition must file an answer within 20 days of receiving the petition. This is important! If you decide to use an attorney, don’t bring the petition in when it will expire in several days. Your attorney must have ample time to read it, listen to your side, and make a decision on what to include in the answer. Service is required for the petition, the answer, and any other paperwork filed with the court. Service is accomplished by “serving” or in other words – delivering a copy of your paperwork to the other party. Many movies about courtroom proceedings show a party surprised in court by the sudden introduction of paperwork, witnesses, or other evidence. In the real-world surprises are not allowed. In fact, your paperwork is invalid, your evidence is inadmissible, and your witnesses cannot testify if the other party does not know in advance what you are planning to show the court. Petitions must be hand-delivered to the opposing party by a sheriff or a certified process server. Answers, motions, copies of evidence, and witness lists may be mailed to the opposing party. This is a complex area of law and courts require strict compliance. Make sure you know the rules before a do-it-yourself attempt. Florida law requires each spouse to send a financial disclosure form to the other side. This is also called Mandatory Disclosure. In every divorce, all “cards” must be on the table. This means each side must have a good picture of all the assets, liabilities, income, and expenses of both parties. The basic required form is a financial affidavit. The financial affidavit form lists all your assets, liabilities, income and expenses. A judge can hold a party in contempt of court if this information is not submitted to the opposing party. You will probably have to give the other side copies of tax returns, bank statements, statements of retirement accounts, and paycheck stubs.The financial disclosure must accompany the petition, answer, and any other action affecting alimony, property division, or child support. A form is normally filed with financial disclosure, called the Certificate of Mandatory Disclosure. Q: Can we both agree not to exchange financial information? A: The two of you can waive all financial disclosure with one exception – you both must file financial affidavits. Q: My spouses financial affidavit contains lies or inaccurate numbers. What now? A: You must attend a hearing after filing a “Motion to Compel” form. Be prepared to tell the judge what the problem is and why you think the financial information is incorrect. Discovery is a fancy word that refers to the process of getting information from the other side and the outside world. The word is used because each side is allowed to “discover” what is available to help them prevail in their case. Discovery can take the form of records subpoenas, requests for info from the other side, and depositions of potential witnesses. Negotiation is encouraged but not required by the court. But your main emphasis should be on negotiation because you have an opportunity to get what you want and end the entire process quickly. The alternative is to have a judge spend several hours listening to your facts and then make a binding decision. The end result is a court order that satisfies neither party. The other benefit of negotiation: if you come to an agreement the total costs of your divorce will be much less than if you fight it out in court. Both parties and their attorneys must meet with a mediator and attempt to work out an agreement on all contested issues. The court will not enter a final judgment, or schedule a final hearing until the parties attempted to settle at mediation. 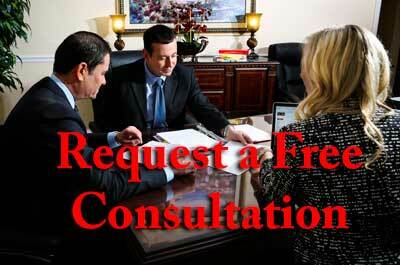 Most mediators are family law attorneys or have masters degrees in counseling. The Florida Supreme Court must certify a mediator before they can provide this service. The mediator must not show any preference for either party. The important thing to note is the mediator has no authority to force a settlement. Any agreement must come from you or your spouse. And everything in mediation is confidential. No one can later say to the judge “he said” or “she said” during mediation. If you do not come to an agreement, nothing said during mediation counts. If you do come to an agreement, that agreement is written up and signed by both parties. The next step will be a 5 minute hearing before a judge – where the final judgment is signed. Q: How is the divorce mediator appointed? A: If the divorce has been filed, the court will enter a order of referral to mediation. Most courts have mediation departments that will assign a mediator. If you have an attorney, that person will negotiate the selection of the mediator. Q: How can I get the mediator to decide in my favor? A: This is a trick question! Mediators have no authority and never make decisions. The only thing your ARE required to do is show up. The mediator cannot force anyone to do anything. Q: Can I tell the judge what my spouse said in mediation? A: Mediation is confidential. What is said there stays there. A mediation report is sent to the court. That report can say there was an impasse, or contain the text of a signed agreement. Nothing else concerning the mediation session can be reported to the court. Q: What happens if we come to an agreement? A: The agreement is written up by the mediator. If everyone is in agreement with the terms, everyone signs. The agreement may be titled: mediated agreement, mediated settlement agreement, or marital settlement agreement. In any case, the mediated agreement is binding the moment it is signed and you must immediately obey the terms. If mediation was successful you now have an agreement signed by both parties. The agreement should cover all previously contested issues such as property division, child custody, child support, and visitation schedules. The final hearing is typically attended by the petitioner and his or her attorney. The other party may attend but is not required to attend. The judge will look at the agreement and make sure it complies with legal requirements. One issue the judge will look at is whether child support is in compliance with the Florida guidelines. The judge will also need to see evidence that the petitioner has been a Florida resident for 6 months immediately preceding the petition. This is typically shown with a copy of the petitioner’s drivers license. The petition must also state the marriage cannot be saved and is irretrievably broken. The judge will enter an order of dissolution, grant a name change if requested, and incorporate terms of the mediation agreement. The judges judicial assistant can provide “conformed copies.” These copies serve as additional copies the petitioner can take home. When the final order is signed, you are legally single. If mediation does not produce a complete agreement you either must schedule another mediation or prepare for a court battle. It is possible to produce a limited mediation agreement, narrowing the issues to be contested in court. The case management hearing is a short hearing, attended by both parties or attorneys. The court notes any agreed-to issues and any hotly contested issues. Also, the court sets a timeline for the rest of your divorce action based on feedback from both parties. Finally, the final hearing is allotted a certain amount of time-based on the number of contested issues. The case management hearing is primarily held to ensure an orderly divorce process. No major, critical issues are decided at this hearing. Another important purpose of case management is to make sure both parties are cooperating with discovery issues. This means you have submitted the financial affidavit and any other required financial documents. For divorces filed in Pasco County, Florida, the courts have recently begun to schedule case management conferences for cases that appear to be stalled. Sometimes the case management conferences are scheduled at random, for no apparent reason. In any case, the conferences are normally held by a General Magistrate – a slightly different type of judge. The client must attend any conference, and be prepared to discuss any issues in the case, such as lack of financial disclosure. For divorces filed in Tampa, Florida, a case management conference is automatically scheduled by the court at the same time the divorce is filed. It is normally set 90 days after the date of the petition. Both clients and attorneys must be there. The Tampa Courts have recently indicated harsh treatment for people who refuse to cooperate with financial disclosure. There is a possibility of a 10-day jail sentence if you do not submit your required financial info. Many other counties appear to be following this trend – to apply force to people who fail to comply with court-ordered requirements. A special type of case management hearing called a pretrial conference may be held to determine “housekeeping” issues for the final trial. Motions are filed with the court and the opposing party. A short hearing is scheduled where a judge will consider the motion. If the opposing party, through their fault or refusal to comply, causes the need to file a motion, the judge may award attorney fees needed to file and argue that motion. A deposition is a proceeding that is conducted outside of the courthouse. There is no judge present. Normally there are two clients, two attorneys, and a court reporter. A deposition is an opportunity to ask a witness questions and hear the answers before a judge will hear them. That way an attorney can know what the answers are to certain questions long before trial. Depositions are also handy before key motion hearings. Another use of a deposition is to “lock in” someone’s version of the truth. If a person answers one way at a deposition and then answers a different way at a hearing – the deposition can be used to show the change in the story. Depositions are expensive. Not only is there an hourly rate for the court reporter but there is also a significant fee for the transcript. Court reporters can be present at a hearing without the necessity of ordering a transcript. That is a way to ensure a transcript of the hearing is available if later needed. A subpoena can be issued by attorneys or by self-represented parties. Subpoenas can be used to get records from outside parties or to compel the attendance of witnesses. It is rare for subpoenas to be issued before mediation. That is because most cases settle by mediation and there is a desire to hold down costs. But the second a case is destined for trial it is necessary to begin planning how to obtain documents and witnesses. That is what a subpoena is used for – to prepare for trial. Only cases on their way to a contested trial have a pre-trial hearing. And not every judge will order a pre-trial hearing. Normally, clients must attend, and their attorneys must attend. A pretrial hearing is a “ground rules” session. The judge will expect to hear what issues are still contested, how many witnesses are to be called, whether there are disclosure problems, and if there are other procedural problems to be solved. If there are two attorneys – they will normally be asked for a certain amount of time for the trial. Depending on the judge, the parties may be ordered to a second mediation. Or the judge may decide to set the trial date and allocate a certain amount of time. If mediation was unsuccessful, you now must convince the court to decide your way on contested issues such as property division, child custody, child support, and visitation schedules. The final hearing is attended by both parties. You must also bring any evidence and witnesses. Remember, the court will not consider evidence or witnesses that the other side did not receive advance notice of. The judge will listen to both sides. Typically the petitioner goes first. The petitioner calls each witness and directly examines them. This consists of a series of questions. The other party, the respondent, gets to cross-examine each witness after the petitioner’s questions. When the petitioner is done the respondent gets to go through the same process. When the respondent is done the parties give closing statements. The judge will consider all facts and evidence presented at the hearing. The judge may also consider the demeanor of the witnesses. Put simply, demeanor consists of facial expressions and mannerisms that may suggest honesty or dishonesty. Also, the judge may consider anything that has a direct impact on the issues at hand. The judge will give a decision regarding property division, alimony, child support, custody, and visitation. The judge will then request one of the parties prepare and mail a proposed order. This order must be sent to and approved by the opposing party. The only grounds for non-approval would be if the proposed order does not match what the judge decided. If approved, the order is mailed to the judge, signed, and entered in the court records. The judge’s judicial assistant will mail “conformed copies” to both parties. These copies serve as legally binding orders. When the final order is signed, you are legally single.